Nourishes, moisturises & protects extra dry skin. Excellent for sensitive & eczema skin. Protects against suns rays, is anti-oxidant, rich in Vitamin E and regenerating to the skin. Great for babies bottom to prevent nappy rash. Use on its own or as a divine additive to moisturisers, lip balms, body butters and soaps. 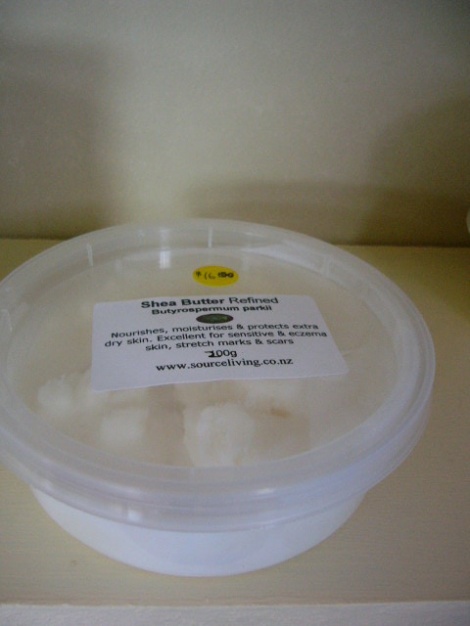 Fair Trade African Shea Butter 200g pack.